Cigar & Coffee: La Aurora issues warning, the Lion has gone rogue! Since the year 2000, La Aurora has been on the hunt for the ideal tobacco to enhance the strength of the cigar without sacrificing La Aurora’s signature flavor. Thanks to the collective effort of their team, the factory has been able to cultivate perfect harmony. 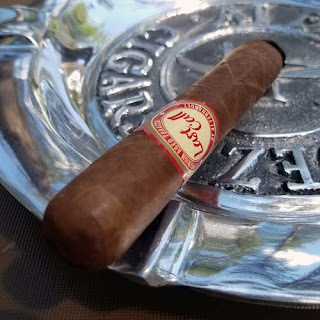 Utilizing tobacco from 3 different countries and finished off with a dark oily Connecticut Broadleaf wrapper, the blend comes with the complexity of a medium bodied cigar and the intensity of something more full. Untamed by La Aurora recreates a traditional image into a more modern and aggressive look. The Lion has been a symbol of the factory since the beginning in 1903 and since its inception it has been depicted as a docile yet respected predator. Now, in 2014 the King of the Jungle will reassert it’s dominance as the most feared aggressor in the animal kingdom. This medium to full bodied blend will be available to consumers in four traditional sizes (Robusto, Corona Gorda, Belicoso, Toro) and one not so traditional size, a 7 x 60 behemoth. With an MSRP ranging from $7.00 - $11.00, this cigar is primed to reign as King in humidors nationwide due its perfectly balanced blend, reasonable price point and attractive presentation. Founded in 1903 by the Leon Family, La Aurora is the original cigar factory in the Dominican Republic with a portfolio that includes, its namesake brands, La Aurora and Leon Jimenes, as well as, La Aurora Preferidos, Guillermo Leon & Fernando Leon brands. Information about the distributor, Miami Cigar & Co.